Teresa I. Schnyder, passed away Monday, January 14, 2019, at the age of 90. Teresa married the love of her life, Lester at the age of 19 on June 23, 1947 (68 years). 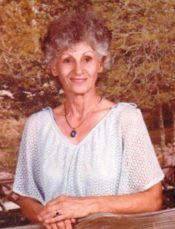 She was a loving wife, mother, grandmother and great-grandmother. Together they raised 4 children, Lester V. Schnyder, Steven D.(Shawn) Schnyder, Teresa (Steve) Bethune, Harold (Valrie) Schnyder. She leaves behind her children, 13 grandchildren and 14 great-grandchildren. She is preceded in death by her husband, Lester S. Schnyder, her father, Anthony Ides and mother, Florence Ides and 5 siblings. The family will receive friends at Pensacola Memorial Gardens Funeral Home on Saturday, January 19, 2019 from 1:00pm until the service begins at 2pm. In lieu of flowers for those who wish please donate to The American Cancer Society. Special thanks to Gemmie & Jenna with Covenant Care, Dr. Watkins and his staff at Sacred Heart Cancer Center and Dr. Tarnosky and his staff with Sacred Heart.